Delighted to announce Brackley & District Band will join in this years Carnival Procession, they will also be playing during the course of the afternoon at the Bandstand near the Craft Marquee on the bottom field. 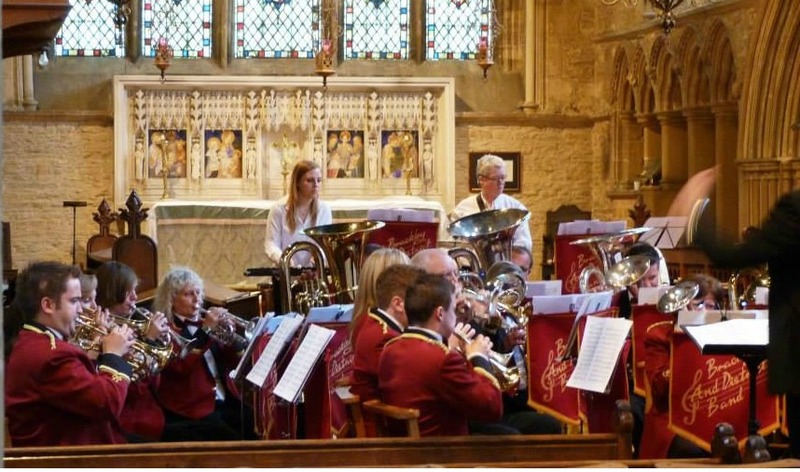 Brackley & District Band was formed in the mid 1970s when a group of young musicians finished their time at school, but still wanted to enjoy playing in a Brass Band. Soon after this our Junior Band was also started. For over 30 years it has been based in the Band Club in the centre of Brackley. Some players still remain from the early days. The Band has contested at all levels over the years, competing against some of the top bands in the country. The band rehearses 7:45pm to 9:45pm, Mondays and Fridays in the Band Club. If you’re looking for a new band, or a new challenge as a brass player, or would like to add some brass band magic to your event, we’d love to hear from you! Majors and Minors was formed in 2014 with the aim to provide a group for young brass musicians, run by the members for the members in an atmosphere where they can develop and above all, have fun making music! Music is chosen by the members and specially arranged to suit individual abilities. Players from our senior band are on hand to offer their expertise and support with Nigel Hall, a local composer, arranger and experienced conductor providing the musical direction. Since its formation, Majors and Minors have performed at a variety of events, impressing wherever they go. As the group is self-funding and supported by the Band Supporters Club, membership is also free!